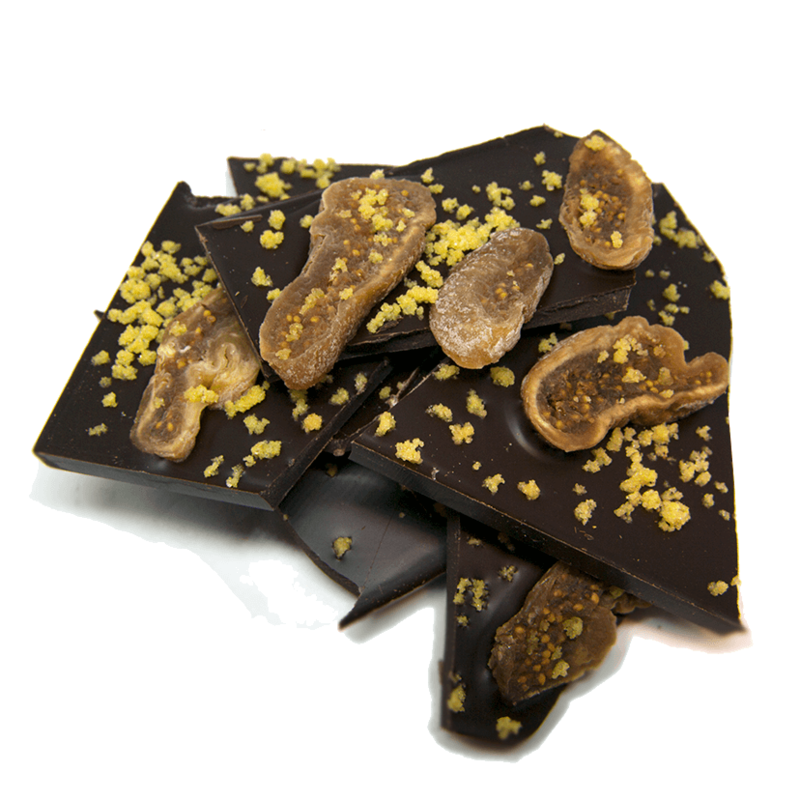 Organic and fair trade chocolate (cocoa paste, cocoa butter, vegan sugar, soy lecithin, vanilla), organic figs, fennel seed, vegan organic evaporated cane juice sugar. 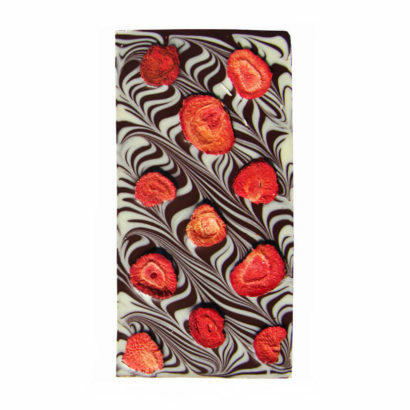 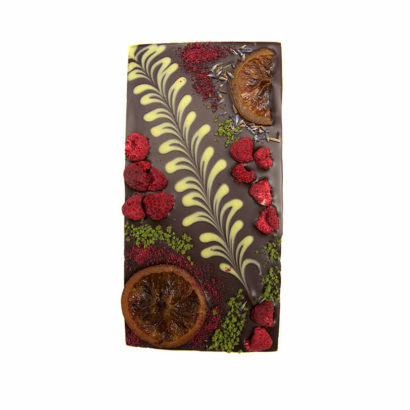 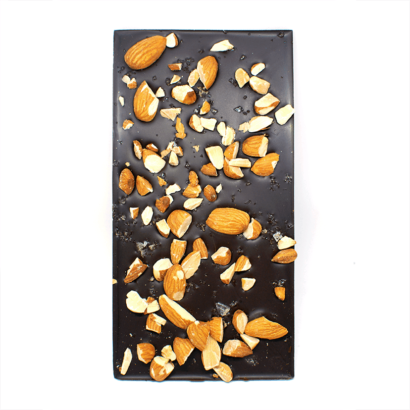 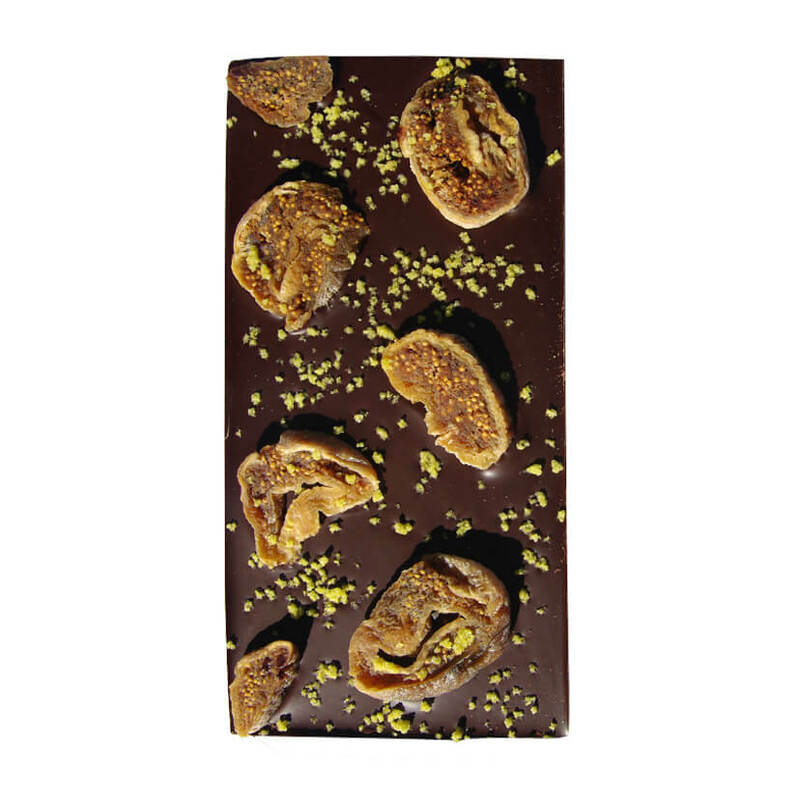 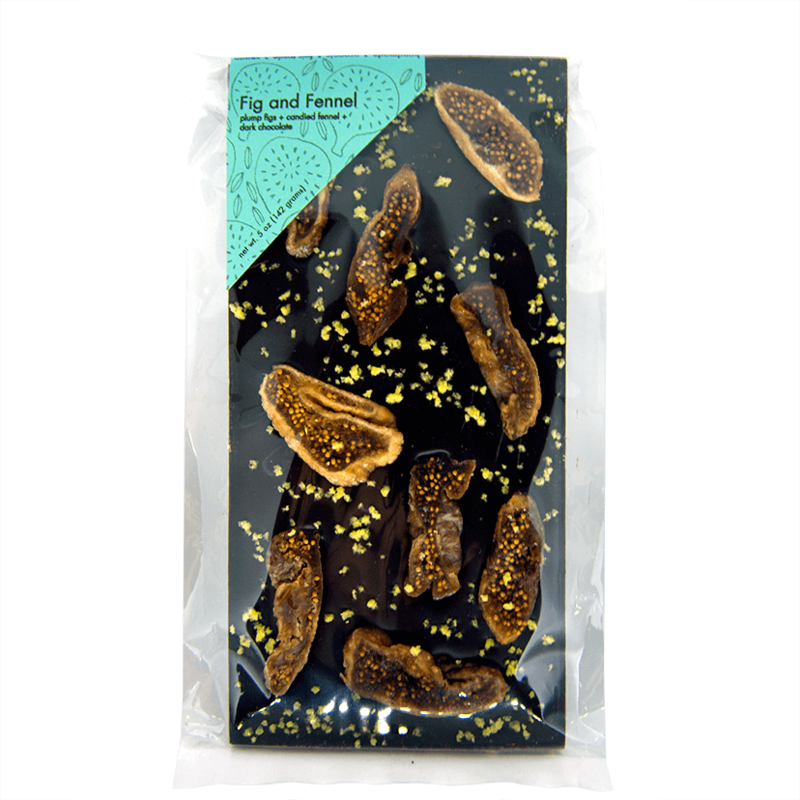 Bittersweet chocolate packed with rich organic Calimyrna figs with toasty crispy candied fennel seeds. If you’re not a fan of savory flavors in your sweets, you might want to give this one a try anyway—the fennel isn’t overwhelming, and the lovely figs really round it all out.